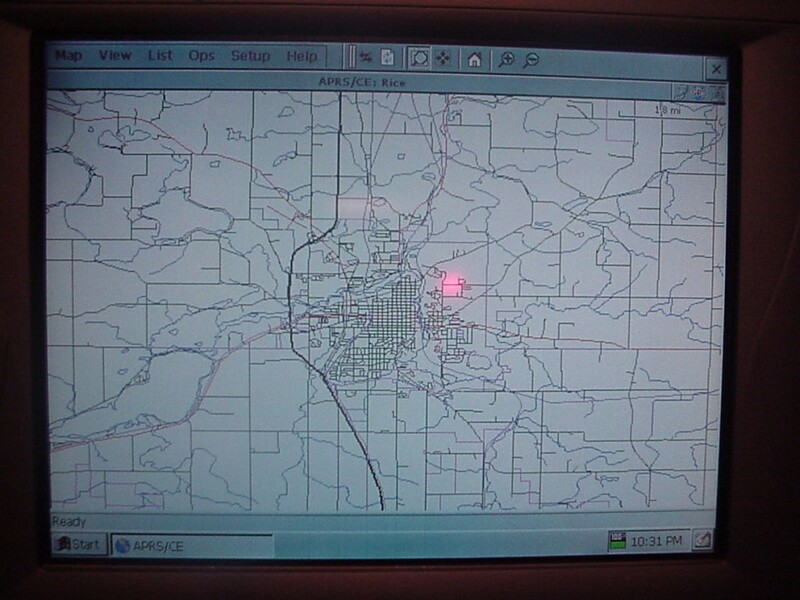 Rob Wittner, KZ5RW, the author of APRS for Windows CE, built me a prototype copy of the program to work on an EPODS Color TouchScreen. The EPODS was originally designed to be an internet and mail only “appliance” that you had to pay a specific company a monthly fee for Internet access. Like many other companies trying to do this, they went bankrupt. 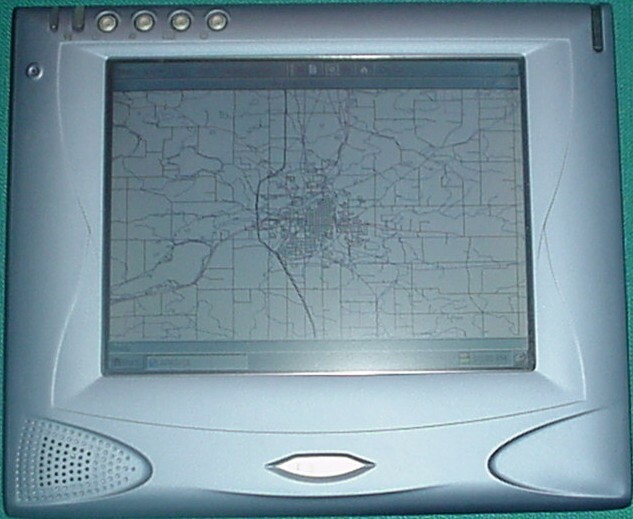 The surplus devices were as good as “junk”, and were sold at many outlets, including Amazon, FingerHut, and Neiman Marcus, for $199. 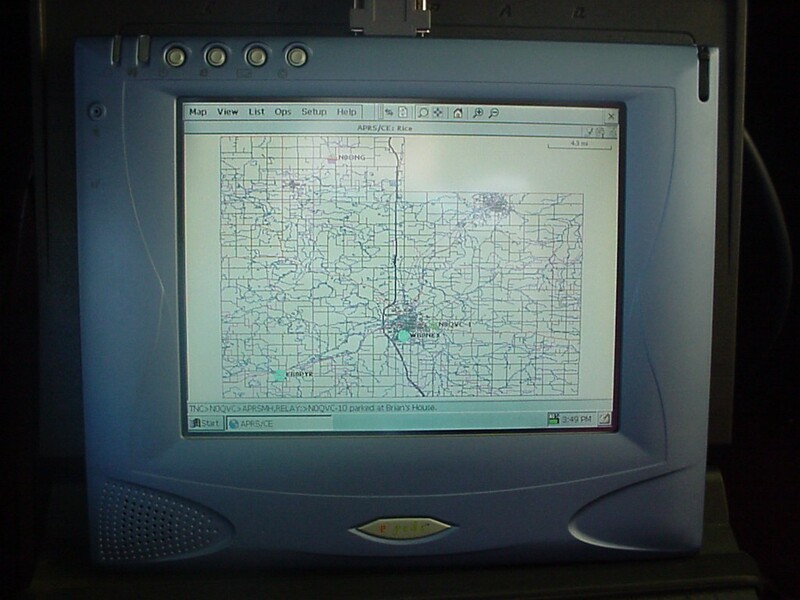 A few hackers around the country figured out how to get past the “Internet-Only” code in these units, and they managed to get them working to an almost-full Windows CE 2.12 kernel. Word of this caught on, and remaining EPODS units for sale went very quickly. About the only way to find an EPODS now is through eBay, and they are routinely going for in the $300 range. I picked mine up through this route, with a Network PC Card, for about $300. 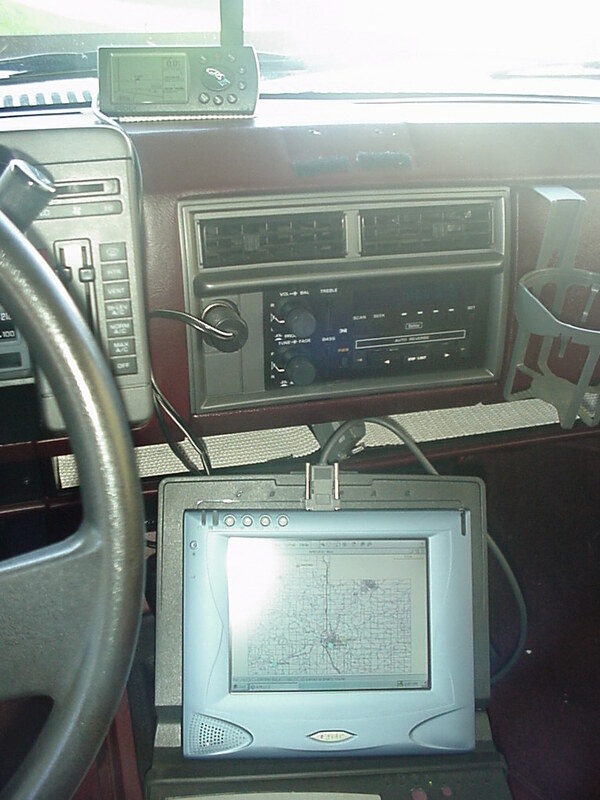 This unit makes a FANTASTIC portable APRS set up! My thanks to Rob for coming to the rescue, and making a build of his APRS program for this platform! For information on how to hack an EPODS, go to http://www.geocities.com/epodsfiles. To grab a copy of the EPODS port of APRS-CE, e-Mail Rob at rmw@rwa-inc.com.